It’s very common for women to feel anxious about labour and birth. Worries about the pain of contractions, interventions and the uncertainty of the process are not unusual. But for some women, the fear of labour and birth can be so overwhelming that it overshadows their pregnancy and affects daily functioning. This severe fear of birth is called tokophobia – which literally means a phobia of childbirth. And for some women, this also includes a dislike or disgust with pregnancy. Tokophobia can be split into two types – primary and secondary. 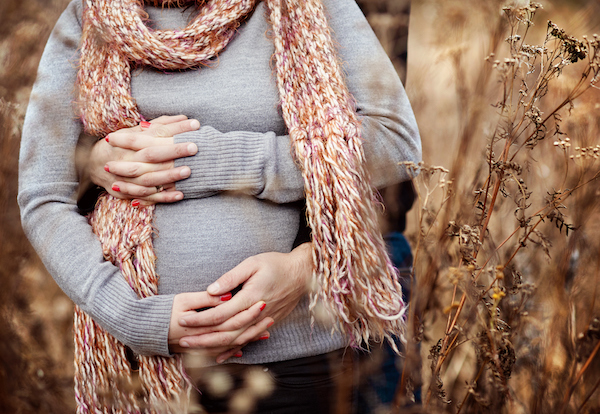 Primary tokophobia occurs in women who have not given birth before. For these women, a fear of birth tends to come from traumatic experiences in their past – including sexual abuse. It can also be linked to witnessing a difficult birth or listening to stories or watching programmes which portray birth as embarrassing or dangerous. Whereas women who suffer from secondary tokophobia, tend to have had a previous traumatic birth experience which has left them with a fear of giving birth again. It is difficult to say how common tokophobia is. Research suggests that between 2.5 per cent and 14 per cent of women are affected by tokophobia. But some researchers believe this figure could be as high as 22 per cent. These figures vary so much because women with different levels of tokophobia were included in the research. So while some women may have relatively mild tokophobia, for others, the condition is much more severe. The figures may also include women who have anxiety and depression rather than tokophobia. Women with tokophobia come from a wide variety of backgrounds. It is difficult to predict who might be affected, although it is clear that women with tokophobia are also more likely to experience difficulties with anxiety and depression and other mental health problems. 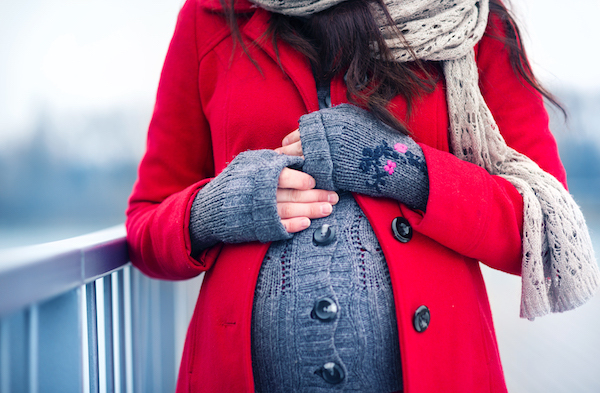 Research suggests some women with the condition choose to avoid pregnancy altogether – or may consider a termination if they find themselves in that position. When pregnant, women with tokophobia may request a caesarean section to avoid the process of actually having to give birth. Some women find pregnancy itself very difficult, particularly dealing with the growing bump and feeling the baby’s movements. Anxiety, insomnia, sleeplessness, eating disorders and antenatal depression or increased risk of postnatal depression, have all been identified as consequences of tokophobia. Some of the consequences for women with tokophobia – which emerge during labour – are longer labours. These are usually with an epidural and increased need for forceps or ventouse – this a cup-shaped suction device which is applied to the baby’s head to assist the birth. All of which can have implications for both the woman and her baby. Afterwards, some women with tokophobia may have a less satisfying bond with their babies. And a difficult experience of birth can make women more afraid of birth if they become pregnant again. Anecdotal evidence indicates that clinical care for women with tokophobia is patchy. But the good news is that there is help out there for women with this condition. Some women find it helpful to talk through a previous experience of a traumatic birth, others might be reassured by information about labour and birth. Other women, however, may need more targeted treatment – a number of counselling approaches can be helpful. Many women also find it helpful to visit the maternity ward and talk to midwives and obstetricians during pregnancy. Some women find the condition can be very isolating, feeling that nobody else shares this intense fear. For these women, simply knowing that they are not alone, can be very comforting and helpful. In Hull and East Riding of Yorkshire, where there is an established perinatal mental health service for women and their families, there has been a recognised need for a consistent approach to caring for and supporting women with tokophobia. This has led to a group of practitioners, academics and patients to work together to explore the care and support available to these women – and to help address the gaps in service provision. This pioneering work, which is at the forefront of tokophobia service provision and research in the UK, aims to ensure that women get the right support and that their psychological and pregnancy needs are met. Tokophobia can have debilitating effects on women and their families. Some women will avoid pregnancy, even though they might want to have children. For those who do become pregnant, the condition can overshadow pregnancy and affect the choices they make for labour and birth. This is why we need to work towards preventing tokophobia if possible – as well as providing effective treatment for women who suffer from this difficult condition.